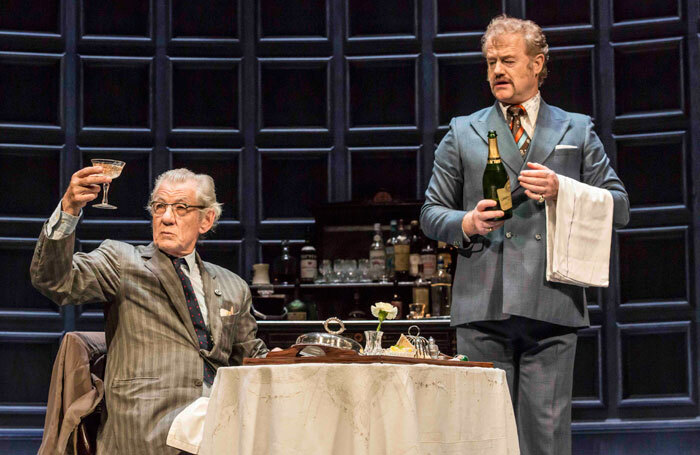 “As it is?”, enquires Hirst, as he pours his guest Spooner a whisky in the opening moment of No Man’s Land –and Sean Mathias’ production presents the play as it is too. 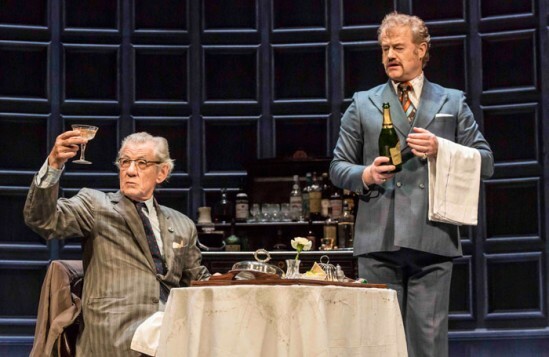 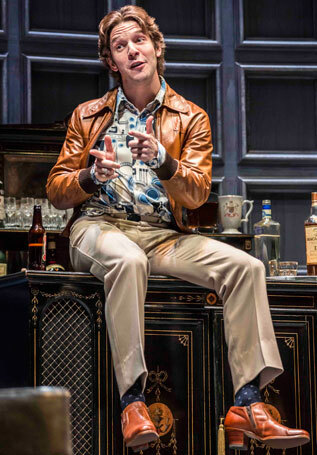 We are immediately transported to Pinter-land, once a hinterland, now part of the mainstream, as Harold Pinter’s eternally cryptic and mysterious 1975 play gets yet another stellar West End revival just eight years after its last outing. 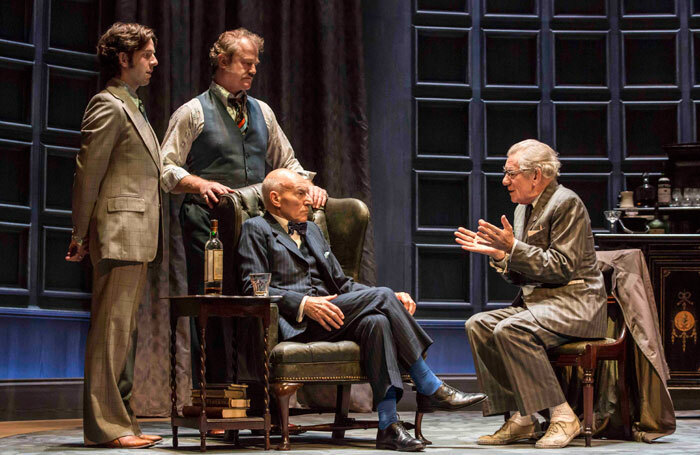 It is 41 years since the original National Theatre production transferred from the Old Vic to Wyndham’s Theatre with stage giants John Gielgud and Ralph Richardson as Hirst, a senior Hampstead literary figure, and Spooner, a failed poet. 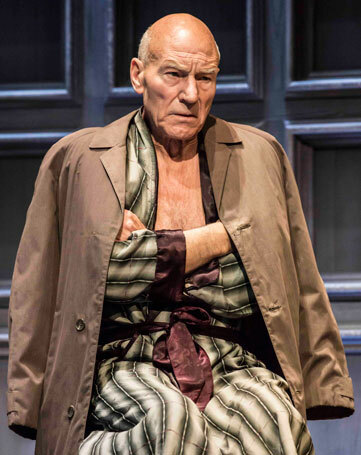 Now it’s back at the same address and providing a vehicle for two more contemporary theatrical knights, Patrick Stewart and Ian McKellen, who’ve gained wider fame thanks to their respective screen franchises, Star Trek: The Next Generation and The Lord of the Rings, and The X-Men, in which they shared the screen. 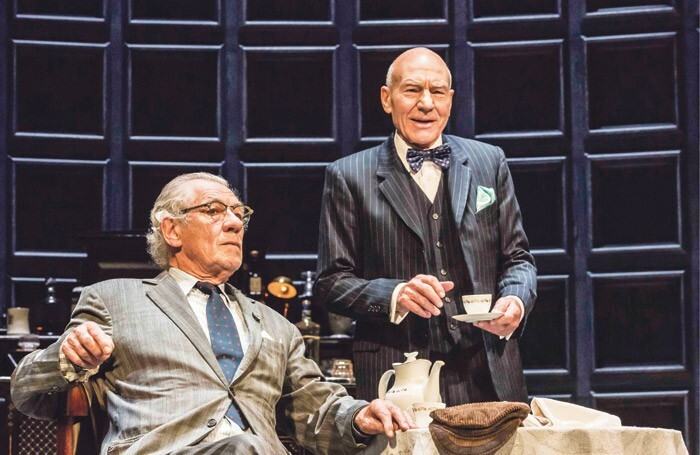 McKellen and Stewart first performed this play on Broadway three years ago in rep with their revival of Beckett’s Waiting for Godot. There are Beckettian echoes in this play too, as these two lonely and isolated men pass the time with banter and shards of shared, sometimes unreliable memories. This being Pinter, there’s also an inevitable power struggle that occurs as Hirst’s employees kick back against this new presence in their lives. 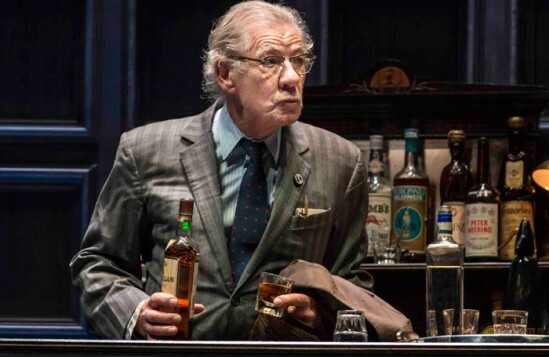 Stewart, exuding a deadly, controlled courtesy, is superbly offset by the more shambling performance of McKellen. 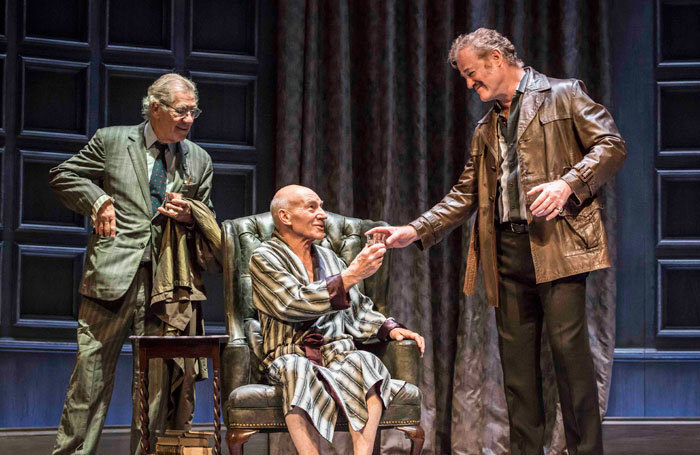 The two actors, a year apart in age at 76 and 77 respectively, are extraordinary in the way they convey a sense of isolation and containment, and they find plenty of humour too in the imposing gloom of Mathias’ darkly calibrated production. 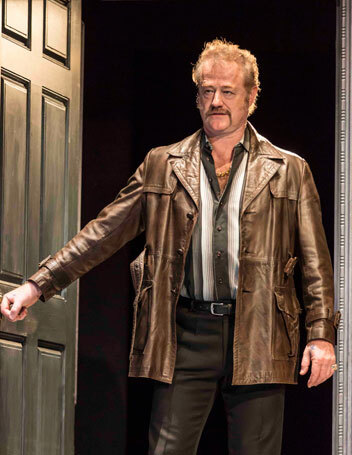 Owen Teale and Damien Molony also bring the required sense of menace to the servants who police their interactions. 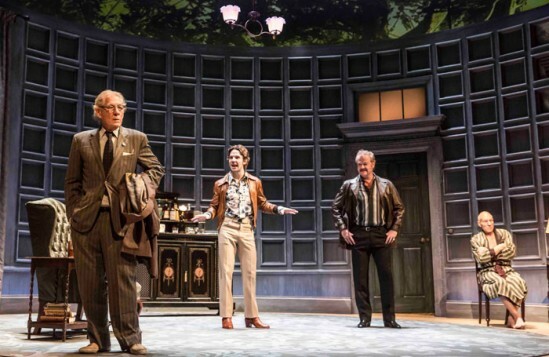 Stephen Brimson Lewis’ solidly realistic drawing room set is poetically offset by Nina Dunn’s projections of nearby Hampstead Heath where the two men meet, making for a stylish and spell-binding production.